Not having an itinerary means not having to get up early in the morning and while I take a shower at 10am, MJ checks out leaflets handed to us by our hostel upon checking in and decided quickly that we were gonna spend the rest of the day north of Kowloon. Yes, that's how we made our itineraries, in between showers. 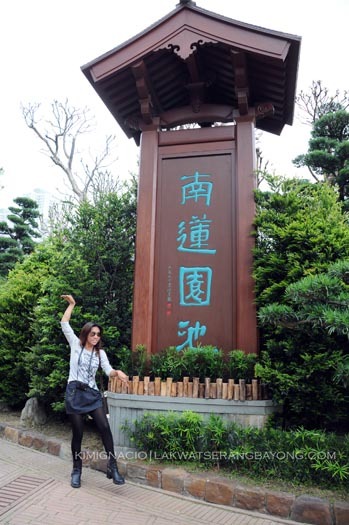 After gorging on roast ducks and Chinese-style pork BBQ for brunch, we took a bus ride to Diamond Hill. 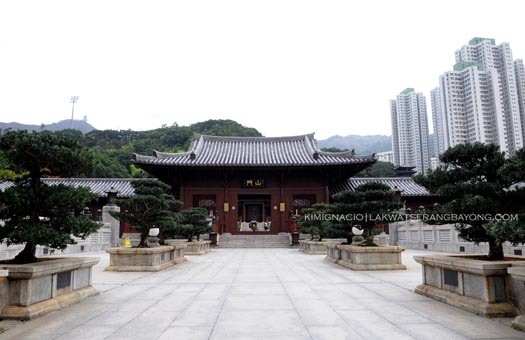 Chi Lin Nunnery is located in urban Hong Kong adjacent Nan Lian Garden, entrance is free and is open daily from 9am-4pm. First stop, the Nunnery. 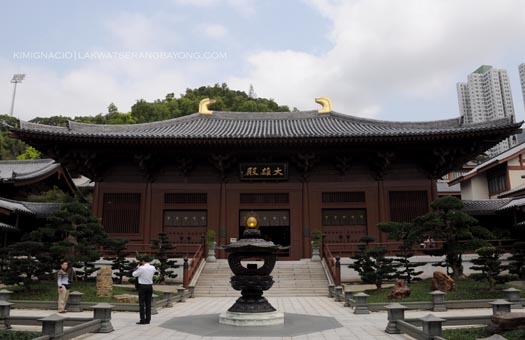 Chi Lin Nunnery is a Buddhist monastic temple built according to architecture of the Tang Dynasty. 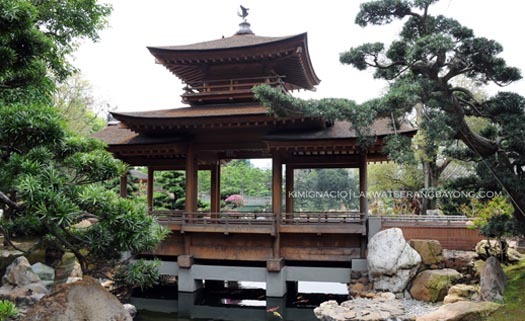 One amazing fact about this temple complex is the absence of the use of nails; the entire structure is made of wood, clay and stone - held together by traditional bracketing techniques. 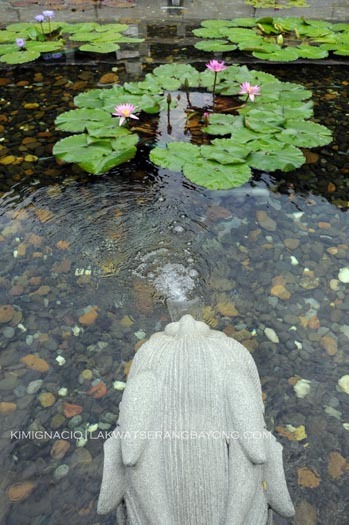 The complex also has a lotus garden with 4 ponds and houses quite an impressive number of bonsai plants. 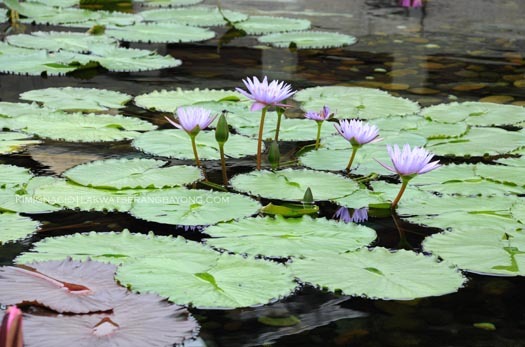 Photography is limited though in the lotus ponds and the courtyard. 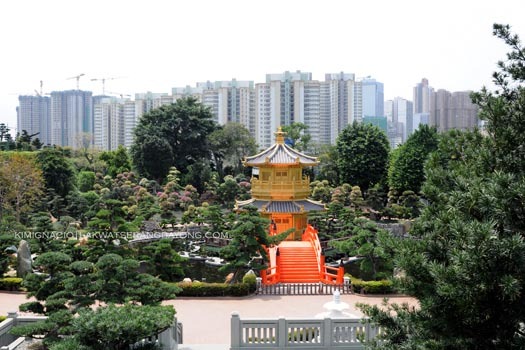 Fronting the Nunnery is the very tranquil Nan Lian Garden. 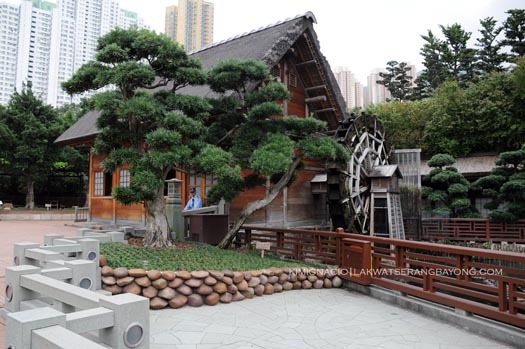 Landscaped based on the Tang Dynasty style, this serene and rather calm place makes you forget that you are in Hong Kong. The garden also has a souvenir shop and a vegetarian restaurant which we did not bother to even check (we tend to run away from everything vegetarian, me at least). HOW TO GET THERE: take the MTR to Diamond Hill, get off at the C2 exit in Plaza Hollywood and walk a few meters. You can also take the bus as some routes stops near the nunnery, do check a map, it’ll tell you which bus to take, there’s also a list of bus routes at every bus stop.